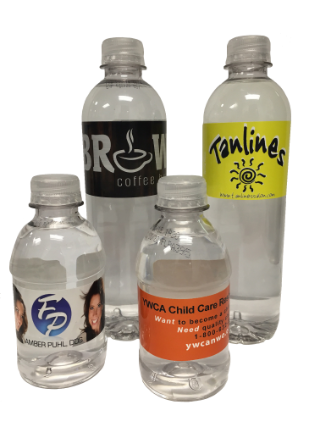 We can beat any competitor prices on custom bottle water labels! With our custom labeling program, you can have unique designs tailored specifically to your needs - email us your design, or have us create one for you. Make an instant impact at your next big corporate event. With Collingwood Water’s custom label bottled water your organization will receive the benefits of advertising and name recognition, while offering clients and guests pure, great tasting imported spring water. Do you have a special logo? We can copy it from print media or you can send us your art work via e-mail or bring us in a disk of art work for your custom bottle water logo design. If you need us to, we can design a logo just for your special corporate event. A Collingwood Water bottle with a custom label is a nice hand out for a trade show or other corporate event. Car Dealerships give them to their new car buyers and service departments. Hotels give them to their rooms, banquets, fine dining and mini-bars. Business people give them to their clients to gain that extra touch. Convention booths get their products noticed with custom label water bottles better than any flyer could ever dream of. 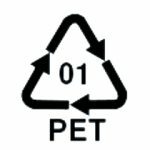 If your business involves developing better relationships with your customers, let a custom labeled bottled water from Collingwood Water in Toledo, Ohio help you. We will enhance the experience your customer has while at your establishment or event. A bottle of water makes a great impression on customers and is a simple and affordable way to say thank you.